Ah, lazy weekend mornings. We look forward to them all week – the notion of sipping a hot drink in your favourite chair next to the window, the birds chirping outside, your book in your lap. It never really works that way though, does it? The kids get up and so begins the morning chaos. Someone has to be at a birthday party (with only four hours notice because the invite was left all week at the bottom of their school bag and now you need to nip into town for a gift), someone else needs to be at their sports club and so on and so forth. You know what I mean. Sometime’s that relaxing morning cuppa gets delayed for a while, but it’s definitely worth the wait. 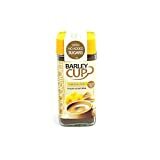 Barleycup is a natural caffeine-free alternative to tea and coffee. 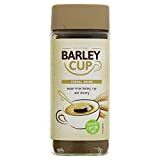 This popular cereal drink is made from roasted barley, rye and chicory root and is great as either a hot or cold drink. Made from natural ingredients with no additives, it’s a source of fibre and low-calorie too. It’s also a very versatile ingredient – use it to add a hint of roasted earthy flavour to your bakes. Step 1: Mix together the flours, brown sugar, cinnamon and baking powder in a bowl. Step 2: Melt the butter and whisk with the Barleycup (milky or plain) and eggs. Step 3: Pour the wet ingredients into the dry and combine with a wooden spoon. Step 4: Fold in peeled, chopped apples and chopped walnuts. Step 5: Spoon into prepared baking cases. Step 6: Top with cinnamon-walnut streusel and bake! Finally, a bit of peace and quiet. 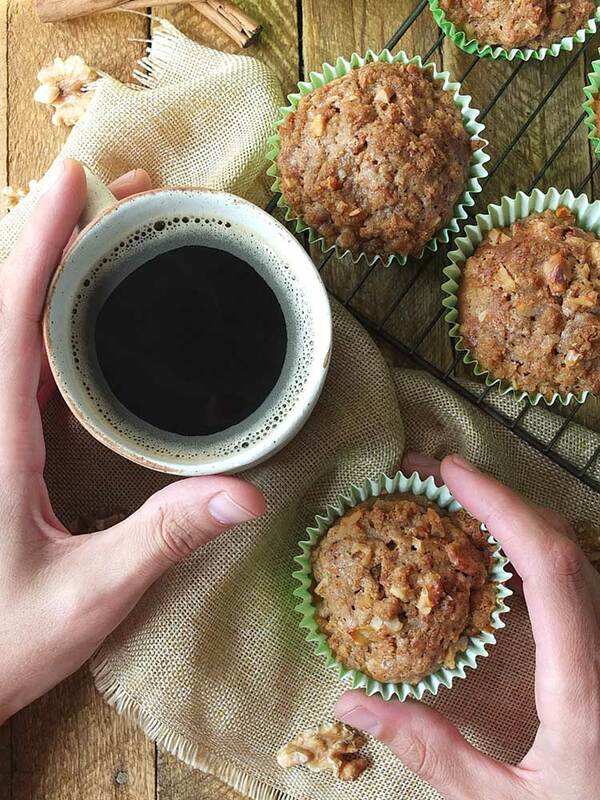 The kids are at their parties/sports clubs/events [delete as applicable] and you can finally sit down with that cuppa, but now there’s a delicious home bake to go with it. Even better. 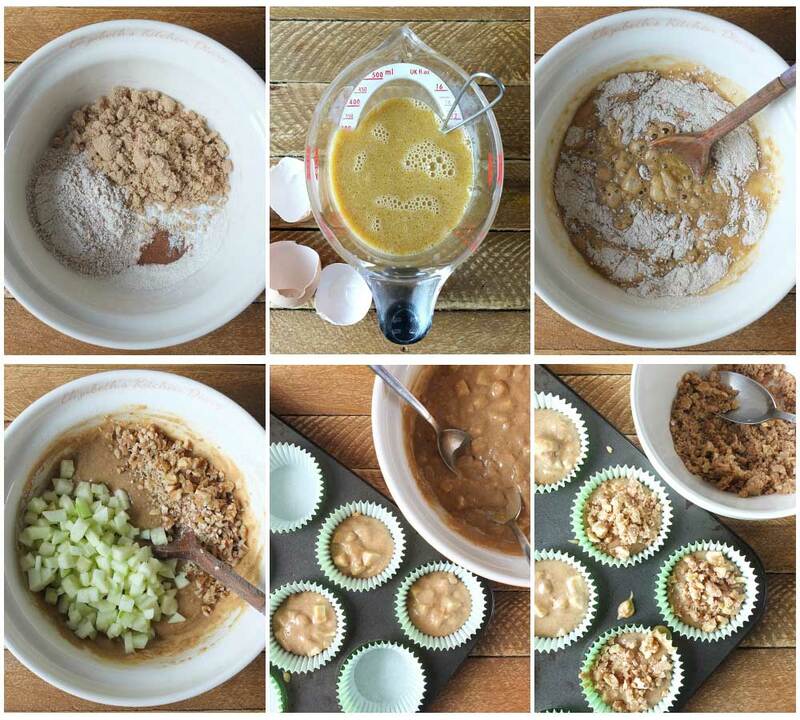 For my recipe, I’ve used a mix of self-raising and wholemeal flours for some added fibre and kept the sugar content low. 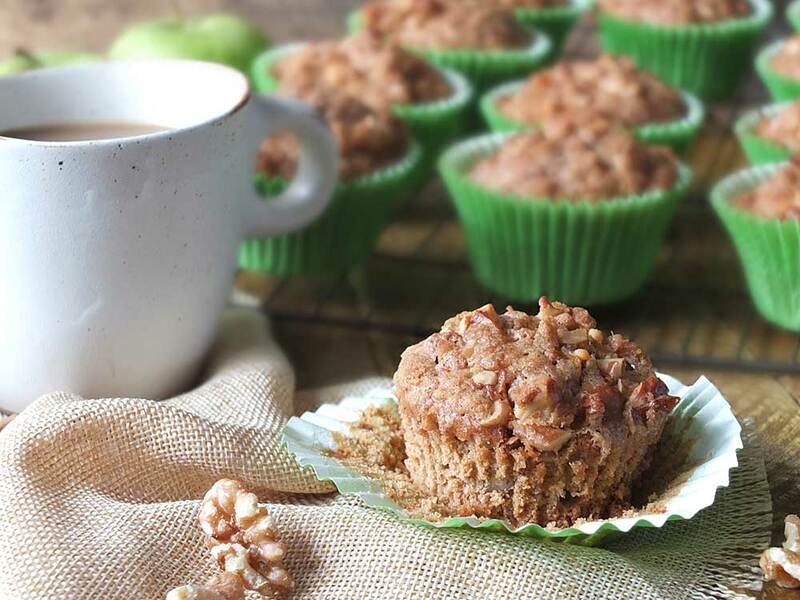 Tart green apples add their own sweetness to the bake, and the earthy walnuts give it a delicious crunch. I’ve also added a crumbly cinnamon-walnut streusel topping. You could, if you wanted, pop a few oats into this topping for extra texture and flavour. 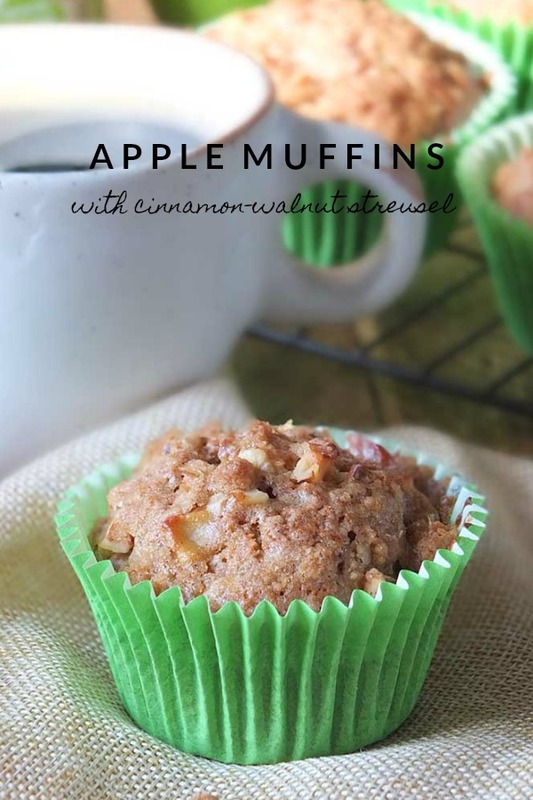 These apple muffins make for a delicious breakfast or brunch, and they’re also a great addition to school lunchboxes. Store any leftovers in an airtight container and they’ll keep for a few days. 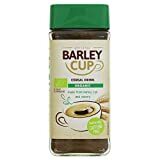 You can find Barleycup in 200-gram jars from Amazon, Holland & Barrett and many independent health food stores including Healthcraft here in Shetland. Check out Barleycup’s recipe section on their website for more ideas! 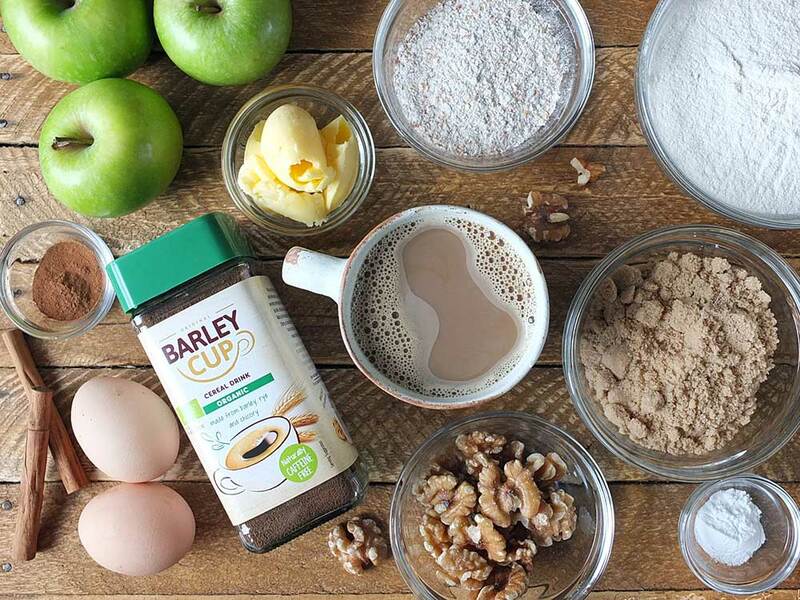 Do you bake with Barleycup? Share your recipe ideas in the comments below! 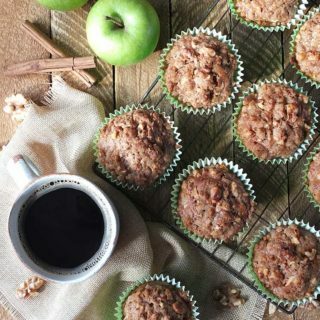 This easy apple muffin recipe is made with crisp green apples, walnuts & warming cinnamon and has a delicious cinnamon-walnut streusel topping. Perfect for brunch. Preheat oven to 180 C/ 160 C fan/ Gas Mark 4. Line a 12-hole muffin tin with paper cases. Peel and core the apples. Cut into 5 mm dice and set aside. Mix together the flours, sugar, baking powder and cinnamon together in a large bowl. Melt the butter and mix with the room temperature Barley Cup and eggs. Whisk together. Pour the wet ingredients into the dry and stir with a wooden spoon until just combined. 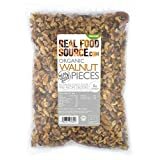 Fold in the chopped apple and chopped walnuts and spoon into the prepared baking cases. To make the topping, rub together the sugar, flour, cinnamon and butter with your fingertips until combined. 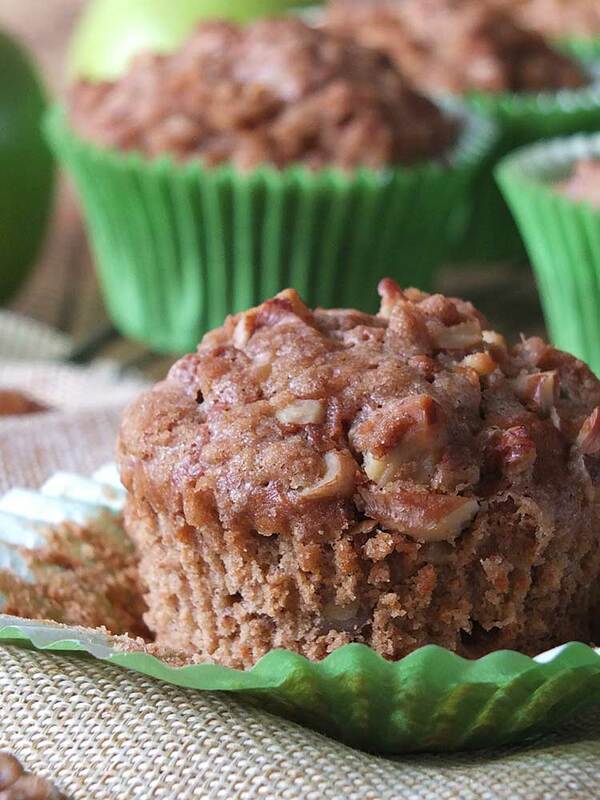 Stir in the chopped walnuts and sprinkle on the top of the batter in the muffin cases. Bake in the centre of the oven for 20-25 minutes, until golden and springy to touch. Transfer to a wire rack to cool. Eat warm, with butter, or store in an airtight container. This is a sponsored recipe post in collaboration with Barleycup. All thoughts and opinions expressed are our own. Thank you for supporting the brands who make it possible for me to do what I love: mess up my kitchen and share recipe stories. These look really tasty, I’ve never heard of Barleycup before! 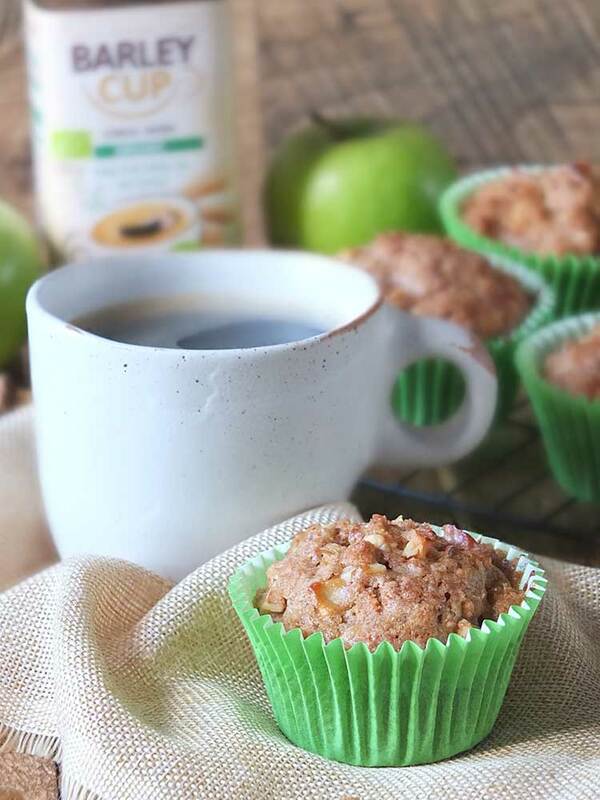 I love a good apple muffin but haven’t seen them made with barley like this before. What a brilliant idea. They look delicious. 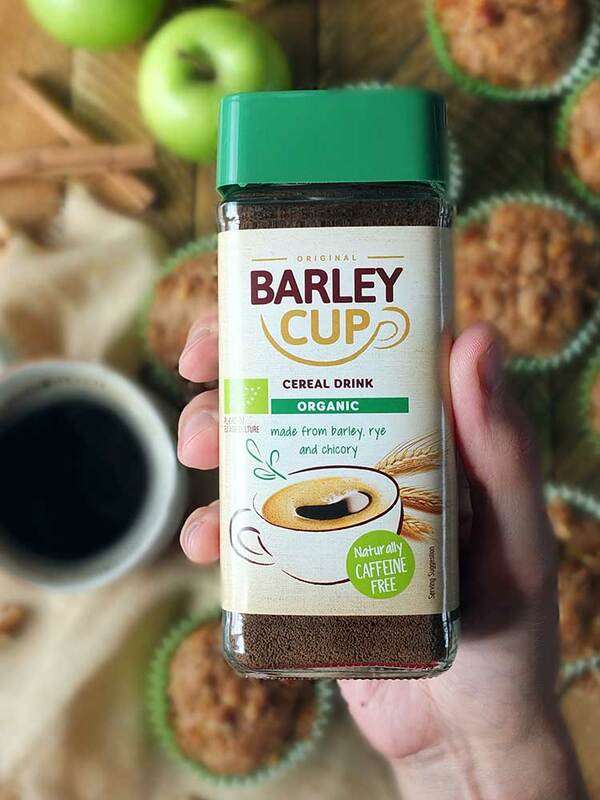 Barleycup sounds like a delicious drink, would love to try it on its own as well as in these muffins. They look so good, I’d definitely have one for breakfast hehe. What a wonderfully autumnal treat! I’d love to try and make these at home. I’ve started making a list for Autumn/Winter recipes and I am adding these. They look and sound amazing. I recently went apple picking, this sounds like a great way to use up the last ones! I grew up on barleycup and when my grandpa passed away in August I inherited about 12 jars which is going to last me a good while! he he! I will have to try this recipe! 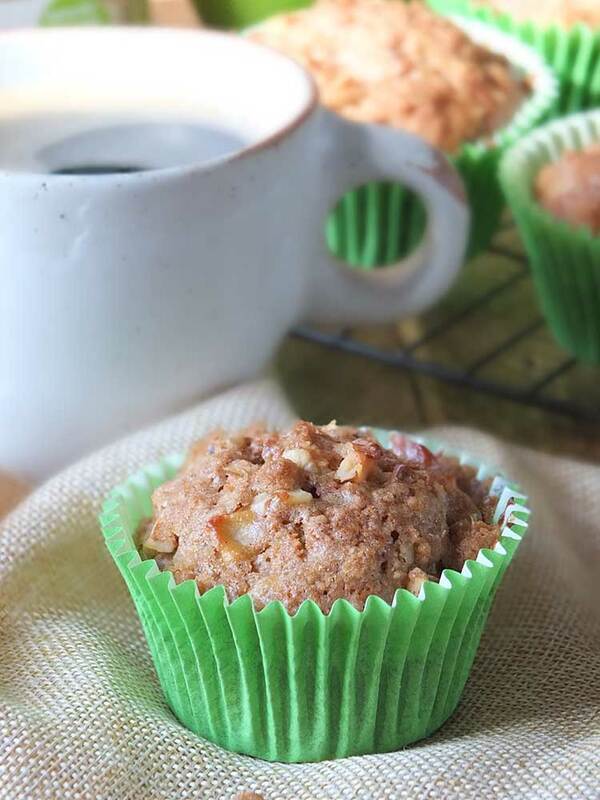 I adore the flavour of Barleycup and it sounds amazing in these muffins. What a great idea!